Emory Law teaches its students to think and communicate clearly—both orally and in writing. 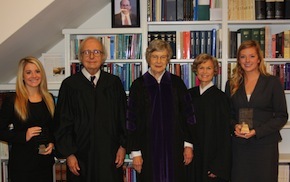 In their first year, students take Introduction to Legal Advocacy, Research, and Communications, a two-semester course that introduces the tools and techniques essential to law practice and legal scholarship. 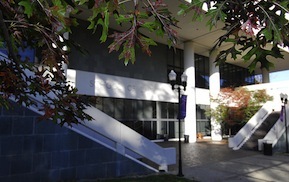 Through experiential learning exercises and one-on-one sessions with our seven full-time writing faculty members, students learn to construct and analyze legal arguments, perform research efficiently, properly cite every source, and write legal memoranda using clear and persuasive arguments. 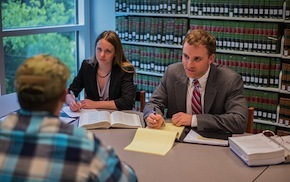 During the spring semester, students continue to hone their research skills while learning the techniques of written and oral advocacy. 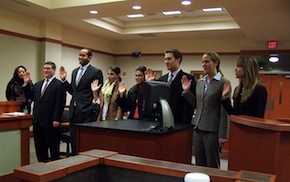 Students learn by drafting an appellate court brief and presenting an oral argument before a bench of three judges.